"Despite a sharp decline in the financial markets in the fourth quarter of 2018, the securities industry still had a good year with increased profits and employment," DiNapoli said in a statement. "Profits grew in 2018 and have nearly doubled since 2015. Bonuses declined in 2018, but the average bonus was still double the average annual salary in the rest of the City's workforce." Critics of Wall Street said the dip in bonuses shouldn't be taken as a sign that financial firms learned any lessons from the 2008 financial crisis. 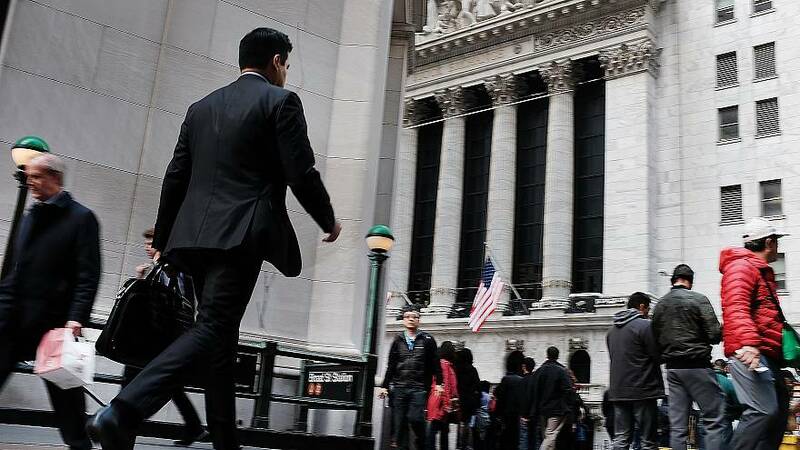 "There's no real argument for why pay on Wall Street should be so high," said Sarah Anderson, who directs the Global Economy Project at the Institute for Policy Studies. Anderson said that big bonuses encouraged employees to engage in risky behavior. "By the time a deal might have gone sour and exploded, the person had pocketed that bonus and was long gone. They didn't feel the same kind of risk that people who lost their homes and livelihoods did in that crash," Anderson said. Wall Street earnings and salaries are a major source of revenue for both New York City and New York state, accounting for almost 20 percent of state tax revenue and 7 percent of city tax revenue in the latest fiscal years. New York City's budget for the 2019 fiscal year had assumed a decline in tax revenues from the bonus pool for financial employees, DiNapoli said.